In France, everybody has seen more than one episode of this series, which has been on TV for nearly fifteen years. And I was really surprised to see how real the atmosphere of New York is in the show. There isn't a day I don't hear the sirens or horns of firefighters or police by my window. This permanent soundtrack brings you instantaneously into the scene of Law and Order; so much so that when I was on the bus, I started dreaming that I was on the show. Two joggers were running in Central Park when they found a dead body-mine. Then, Brisko and Green were arriving on the scene when I woke up and noticed that I'd never seen the storefronts outside the bus' window...I had missed my stop. Don't worry, I am definitely not depressed (ok, maybe just a little bit after I talked to my boyfriend on the phone because I miss him). It's just to show you how the environment can go to your head. 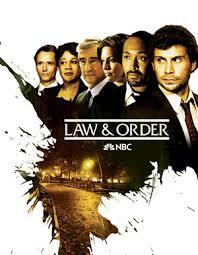 What is more striking than scenes from Law and Order are the life and the energy that emerge out of the streets. One could say the city is alive and never sleeps. New York can appear a little bit aggressive, but I got used to it quickly-you don't feel the usual anonymity of big towns in New York. I always want to go out, be on the move and do great things! But there are exceptions: the "I'm singing in the rain" is a far-flung joke. Frankly, two days ago when I left home at 8:30 in the morning, I didn't want to dance under the cold rain and did not feel like singing at all. (And there are easier exercises than singing when your teeth are chattering!) This morning, pushed by the wind, was a more fashionable version of Mary Poppins (except I lacked the umbrella). It wasn't really funny. Tonight I'm going to dream that I'm in an old episode of Baywatch. There is no way I would dye my hair blond, but it is so much warmer over there!